Seth R. Parker born August 18, 1912 in Lake Charles, LA went to be with the Lord on August 15, 2006 at the age of 93 and joined his wife Eula Parker; son, Lon H. Mercer; and grandson, Danny Boman. Seth was retired from the Houston Fire Department and served our country in WW II. He was also a member of the Masonic Lodge of Lindale Park # 1347, Order of Eastern Star, Montgomery Chapter # 228. Seth faithfully attended the First Baptist Church of Magnolia and was a former member of Doverside Baptist Church. Let's not to forget to mention he was a Golden Glove Boxer and that he never met a stranger. Mr. Parker is survived by his loving brother, Leonard Parker of Montgomery, TX; grandchildren, Larry Boman & wife Cathy of Angleton, TX, Judy Hartman & husband Daniel of Magnolia, TX, and Lonie Mercer & wife Margaret of Weimar, TX, twelve great grandchildren, and eighteen great-great grandchildren. Visitation will be Thursday, August 17, 2006 from 5-8 P.M. at Brookside Funeral Home. The celebration of Life service is scheduled for Friday, August 18, 2006 at 3:00 P.M. at Brookside with Dr. Ed Seay officiating. Interment to follow at Brookside Memorial Park. "We Will All Miss You Dearly." Mickey Pate, 49 of Houston died Thursday, April 17 2008. Mickey was a graduate of Bellaire High School class of 1978. Entered the Houston Fire Department in 1979, he was a Fire Fighter at Station 75 on the B shift and a member of the National Model T Club. Mickey is survived by his wife Sharon Pate, his mother Ruth Ross and her husband Sam, brother Ronald Pate and his wife Pamela, niece Rachel Pate, nephew Matthew Pate and numberous other relatives and friends. the family will receive friends on Sunday, April 20, 2008 from 4:00pm until 7:00pm at Forest Park Westheimer Funeral Home. Funeral services will be conducted on Monday, April 21, 2008 at 10:00am, in the chapel of Forest Park Westheimer Funeral Home. Interment will follow in Forest Park Westheimer . In lieu of flowers, donation in Mickey Pate's memory, should be directed to the Chappell Hill Volunteer Fire Department, P. O. Box 194, Chappell Hill. Joseph Allison Phillips, 75, went to be with the Lord on Saturday, March 10, 2012. He was born in Houston on September 8, 1936, and was proud to be a life-long Houstonian. Joe proudly served in the U.S. Marines (Semper Fi). He joined the ranks of the Houston Fire Department in August 1962, serving under 16 chiefs and holding many positions, including Public Information Officer, during his tenure. He retired from the fire department on April 1, 2011, after 48 years and 8 months of dedicated service. Joe was a member of the Reagan Masonic Lodge #1037, the Scottish Rite, and American Legion Post #560. Joe never met a stranger in his life; he had jokes, stories, and expressions like no other. He had many hobbies and talents that kept him in the shade of his carport for hours on end, but within sight of everyone who came down the street. Rarely a person passed who didn't stop to talk to Joe or at least honk and wave. He was a master woodworker, and he never met an engine (lawnmower or otherwise) he couldn't fix. He was a history buff who reveled in sharing his knowledge of Houston and points beyond. In the last several years, Joe loved riding his Harley to visit old friends at the neighborhood fire station, stopping in to visit friends or acquaintances at retirement centers, and making new friends along the way. He was proud of his family, his service to the U.S. Marines, and his years of service to the Houston Fire Department. Joe is preceded in death by his parents, Otto "Barney" and Aline (Gregson) Philips, brother, William "Bill" Phillips, and sister, Sarah Gum. Joe was a devoted husband, father and grandfather. He is survived by his loving wife of 53 years, Patricia "Pat" Lindsay Phillips; children, Cynthia Laskowski and husband Alton of Spring, Michael Phillips and wife Brenda of Spring, Stacey Osceola and husband Bryant of Tomball; grandchildren, Valerie and Lindsay Laskowski and Alex, Brent, and Hannah Phillips; as well as many nieces, nephews, relatives and friends. The family will receive friends for visitation on Thursday, March 15th, from 5:00 pm - 8:00 pm at the chapel of Pat H. Foley & Co. A service to celebrate Joe's life will be held at 12:30 pm on Friday, March 16th, at Champion Forest Baptist Church, 15555 Stuebner-Airline Rd., Houston 77069. Interment will follow at Houston National Cemetery at 2:30 pm. In lieu of flowers, the family requests that donations be made to the Shriners Hospitals for Children Houston; Shriners Hospitals for Children, Galveston - Burns Unit; or a charity of choice . Jerry "Mike" Powers, age 43, born September 28, 1961, passed away July 5, 2005. He was an EMT & Firefighter for the City of Houston for almost 20 years. Love to fish & spend time with his family and kids. He enjoyed being active in their lives. He was a resident of Jewett for 7 years. Suvivors; spouse, Lauren J. Powers of Jewett, son Travis Powers, Daughter Kristin Power, mother Sandra Powers, father Jerry Powers of Concord, and sister Carla Whitman of Tomball. Niece Lanae Whitman, nephew Dillon Whiteman, niece Aleyah Tamper all of Tomball. Service Thursday July 7, 2005. Jewett United Methodist Church at 2:00 PM. Interment Concord Cemetery. Minister Rev. David White. A memorial fund in memory of Mike Powers has been set up at the State Bank of Jewett. Eddie "Midnight" Prenzler, 89; of Houston, died January 19, 1988. Services will be held Wednesday January 13, 10 a.m. First Baptist church of Missouri City, The Rev. Harold Sellers officiating. Interment Forest Park Lawndale, Houston. Survivors; Two daughters, Geraldine Crumpler and Laura Richardson of Houston; son, Harvy Prenzler of Pasadena; one brother, four sisters, nine grandchildren and one great-grandchild. Mrs. Prenzler was retired form the Houston Fire Dept. March 16, 1963. Member First Baptist church of Missouri City. Friends may call after 11 a.m. Tuesday. Under the direction of Garmant & Garden funeral Directors of Missouri City. 499-3516. Merl Anton Priest of Cut-n-Shoot, Texas was born March 10, 1938 in Houston, Texas and went to sleep in the arms of The Lord on March 21, 2012 in Conroe, Texas. Merl graduated from Sam Houston High School in Houston, Texas. He served his country in the U. S. Coast Guard and his community in the Houston Fire Department. Merl loved fishing, shooting pool, playing dominoes and being with family and friends. He was preceded in death by his father, Leonard Charles Priest Sr.; mother, Lorada Irene Corson Priest; sister, Martha Ann Gibson; half brother, Leonard Charles Priest, Jr. Merl is survived by his loving wife of 52 years, LaVerne Lester Priest; their two daughters, Marnita Ann McCollough and husband Tom and Michelle Lynn Graham and husband Stephen; grandchildren, Merissa Breanne Graham and Andrew Dalton Graham all of Conroe; half sister, Lea Milsap of Baytown; and life-long friend, Alan Bishop, of Houston, Texas. Numerous nieces, nephews, cousins and other friends also survive. Visitation will be Monday, March 26, 2012 from 5 p.m. to 7 p.m. at Cashner Funeral Home. Graveside services will be Tuesday, March 27th at 1 p.m. at Security Cemetery in Security, Texas. Pallbearers will be Tom McCollough, Stephen Graham, Andrew Graham, Tracy Graham, Bucky Coburn and Ryan Hake. Honorary pallbearers are Sam Houston High School football players from classes 1956 through 1959 and the City of Houston Fire Department. In lieu of flowers, please make donations to the Alzheimer's Association, P. O. Box 96011, Washington, DC 20090-6011 or the charity of your choice. You are invited to leave written tributes and condolences for the family on our website at www.cashnerconroe.com. Rubin Leory Puckett went home on October 8, 2006. 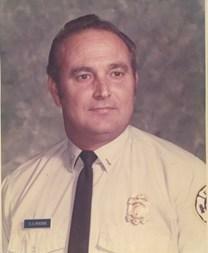 Preceded by wife Faye Puckett Retired District Fire Chief, City of Houston, Station 69. Survivors: daughters- Wanda Puckett, Brenda Kirchner. Grandsons Donald Draughon, Kevin Fabian. Brothers Jerry Puckett, Ronnie Puckett. Memorial Servsice Oct. 21, 2006, 2pm @ Oak Forest Baptist Church 1700 W. 43rd Street. Donald Gene Peacock, 79, passed away on January 13, 2012. He retired from the Houston Fire Dept. as a Jr. Captain after 21 years of service. Donald is survived by his loving wife of 59 years, Helen Peacock; daughter, Gayle Scardino and husband David; son, Donny Peacock and Gina Morgan; grandchildren, Derek Scardino and fiance Lindsey Hale, Colby Scardino and wife Shelby; great-grandson, Huntley Scardino ; sister, Corilee Gardner; brother, Jack Peacock and wife Peggy and numerous other loving relatives. Visitation will be from 3:00 p.m. to 6:00 p.m., Sunday, January 15, 2012 at Earthman Resthaven Funeral Home. A funeral service will be held at 2:30 p.m., Monday, January 16, 2012 in the Chapel of Earthman Resthaven with burial following in the Earthman Resthaven Cemetery. Nathan Scott Peschke went to his final call on April 15, 2013. Nathan was born May 29, 1954 in Giddings, Texas to the late Nathaniel Peschke and Mrs. Betty Duke. He lived his childhood in the town of Schulenberg, Texas. Nathan was united in marriage to Cheryl Ann Gaydosik on May 28, 1977 in Pattison, Texas. Together they had two sons Michael and Chad. Nathan devoted his entire life to serving and protecting others as a firefighter. This began at the age of 17 when he first volunteered with the Schulenberg Volunteer Fire Department. Nathan started his professional fire career with the Austin Fire Department in December of 1973 where he served for 6 years and then with the Houston Fire Department where he served for 30 years. He retired from full time service in January of 2011. Additionally, he was a member of the Brookshire Volunteer Fire Department and the Matagorda Volunteer Fire Department. Nathan also served the Brookshire - Pattison community as a member of the Brookshire Masonic Lodge #1066, AF&AM, and the Order of the Eastern Star, Brookshire Chapter #652.Nathan was preceded in death by his father Nathaniel Peschke. Nathan is survived by his wife Cheryl Peschke of Katy, Texas, son the Reverend Michael and daughter in law Kay of Deer Park, Texas, son Chad and daughter in law Linsey of Katy, Texas, mother Betty Duke and step-father Jim Duke of Paige, Texas, grandchildren Kathryn and Boone Peschke, brother Ronnie Peschke of Richmond, Texas, and sister Gail Cook of La Grange, Texas. Pallbearers are District Chief David Renfro, Senior Captain Ken Dernehl, Ret. Senior Captain R.L. Williams, Captain David Col­­aiacomo, Engineer Milton Buell, Engineer Richard Ponce, Firefighter Larry Claxton, and Ret. Firefighter Billy Van Winkle. Honorary Pallbearers are all the firemen who worked with Nathan at Stations 57 and 78 of the Houston Fire Department. Visitation will be held from 6:00 - 8:00 p.m. on Tuesday, April 16, 2013 at Schmidt Funeral Home, 819 Waller Avenue, Brookshire, Texas. The funeral service will be held on Wednesday, April 17, 2013 at 10:00 a.m. at Holy Covenant United Methodist Church, 22111 Morton Road, Katy, Texas with interment to follow at the Pattison Cemetery in Pattison, Texas, Reverend Doctor Jay Jackson and the Rev. Kip Gilts, officiating. In lieu of flowers the family asks that donations be made in Nathan's memory to the Brookshire Masonic Lodge #1066, AF&AM, P.O. Box 161, Brookshire, Texas 77423.